So what happened to Micah Richards? Why has Man City defender fallen out of favour for his country? How many more times do I have to watch Wes Brown flail around for England at right-back? Brown is a capable centre-back, but a poor full-back. He often looks nervous on the ball, his close control is lacking, and while he runs the line with enthusiasm, he’s hardly a swashbuckling force. Thing is, England do have a much better option at right-back. He’s a player who has already proved he can make the step-up to international football. No, not Gary Neville – although G-Nev still has an England future. I’m talking, of course (the headline gave it away, no?) 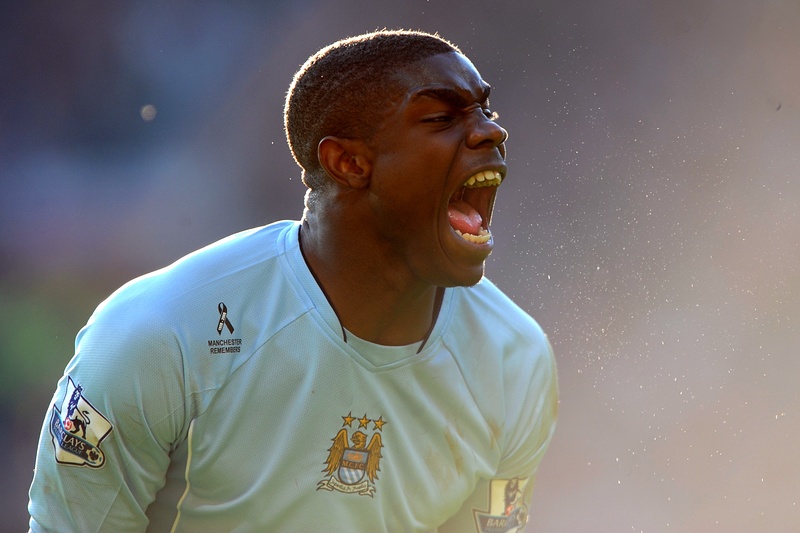 about Micah Richards. Richards looked great for England’s U-21 team on Tuesday: typically strong at the back, and he chipped in with a goal. So why isn’t the Man City man in the senior squad? Why has such a talented young player been relegated to the kids’ pool – it is to give him a kick up ths arse? What exactly has Richards done wrong? Is Fabio Capello protecting him before the actual World Cup campaign begins? I don’t know the answers to any of these questions, but it’s both mysterious and frustrating to see Richards’ international career take a backwards step, when he is one of England’s most impressive, promising players.